Happy Friday ladies! It's hard to believe it is May already... I so thankful for longer sunnier days!Take some time to enjoy these fabulous links today! baby shopaholic dishes on her favorite brand and color of blusher. Pop on over there to see what it is, I know I have heard LOTS of bloggers chat up with blush. It's definitely piquing my interest! the stylish housewife is wearing one of the most coveted palettes for summer: neon + neutrals. Check out her gorgeous ensemble! I am in love with that dress! one hundred inspirations recreates this fun Anna Kendrick look for around $100 - I just LOVE these green jeans! 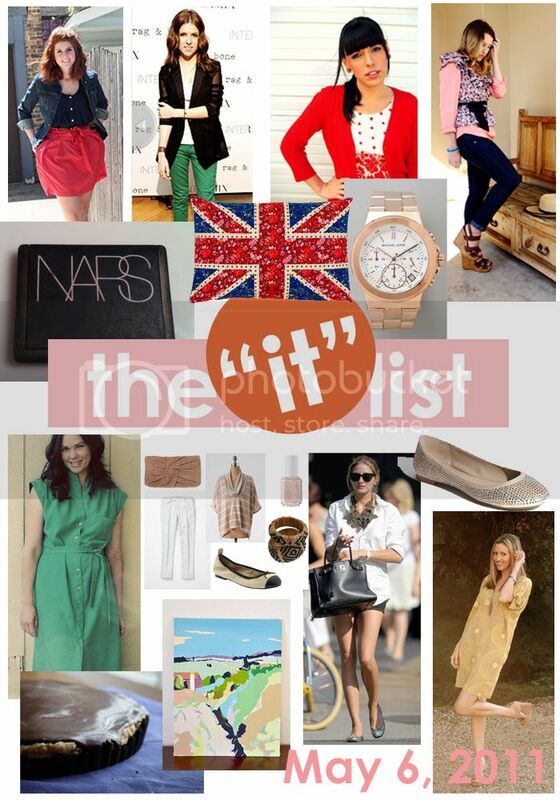 the IT list is produced weekly by Jill of good life for less - for information on how to be involved, click here!